When we hear the name DeMarcus Cousins, all we think of is Jalen Rose on ESPN screaming “BOOOOGIEEEEEEE!!! !” every chance he gets. He’s been doing it for years and it’s solidified the connection Cousins has with the name, since his days with the Kentucky Wildcats when Rod Strickland gave him the nickname. But he wants to leave that all behind. And there’s something else he’s letting go of. Something that, at times, has weighed him down and blown him out of proportion. “It’s just like, Jesus Christ! 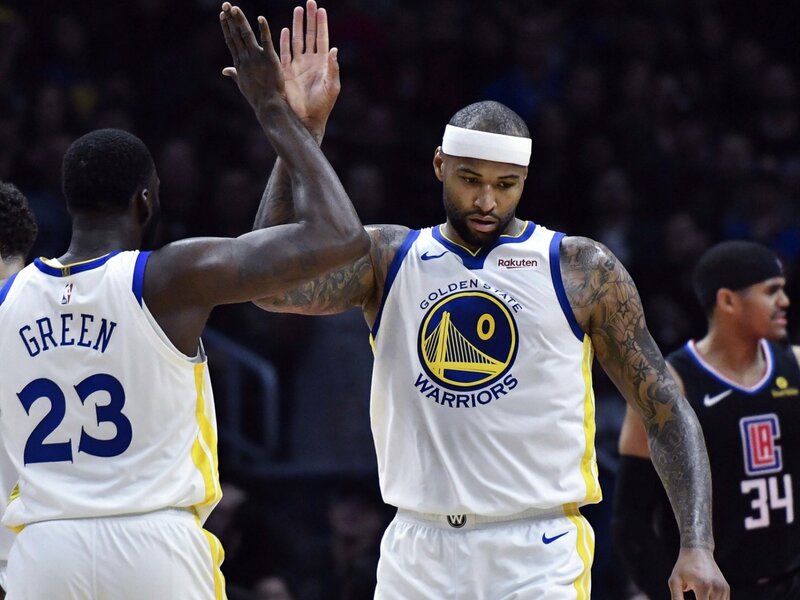 It’s so much extra put on with ‘Boogie,’ ” Cousins says. It looks like Cousins wants to mature away from his reputation and focus on being a better version of himself every day. With his first playoff appearance around the corner and an NBA Championship presumably in the horizon with the Golden State Warriors, it’s no surprise he wants to shed the old him and move forward with this new version of himself.